Azalea Sands is less than half a mile from the ocean, it provides golfers with a nice breeze on most days, has large greens and yield 6903 from the back tees. A nice feature that allows for bump and run approach shots is that most of the greenside bunkers are on the sides and back of the greens. This course while not the most difficult course in the Myrtle Beach Area, still provides a nice challenge to all skill levels. 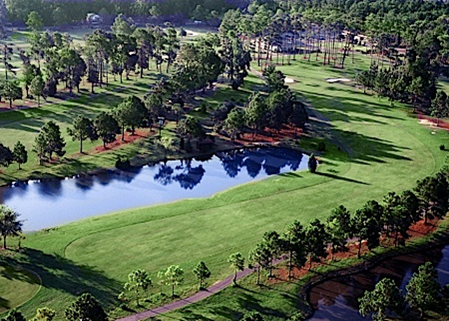 Azalea Sands is highly recommended as an excellent starter course to get used to beach conditions.